When it comes to plants, there’s no better combination than easy, low-light and decorative. One species that definitely ticks all these boxes and therefore ranks high on our list of favorites is Hygrophila difformis, also known as water wisteria. Keep reading for everything you need to know about Hygrophila difformis and growing beautiful plant in your own aquarium! Not actually related to true wisteria, water wisteria is naturally found in swampy habitats in Asia.  It’s a popular plant among aquarists, especially those looking to maintain low-tech aquariums that don’t need a lot of light or complicated nutrient dosing schedules. Hygrophila difformis is a tall plant that can easily outgrow a nano aquarium with its maximum size of up to 23”. 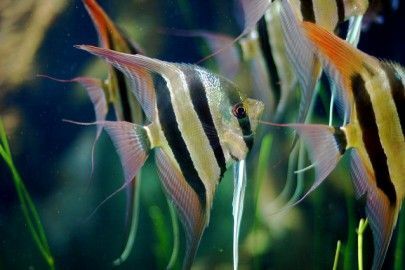 Its size and textured feathery leaves make it a great choice if you’re looking for a species to spruce up the background area of your tank. 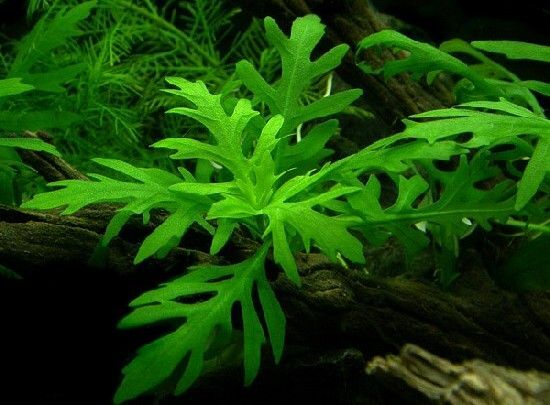 This plants’ branched leaf shape comes in handy for breeding tanks and aquariums that contain dwarf shrimp or other small creatures. The leaves offer cover as well as excellent foraging grounds, as plenty of biofilm develops in the crevices. Some fish also like to use fine-leaved plants to deposit their eggs. Although most (aquatic) plants aren’t too difficult to propagate, Hygrophila difformis multiplies exceptionally easily. Even a small floating piece of leaf can regrow, as can a leftover stem piece completely devoid of leaves. Tip: Looking for more plants that don’t need a lot of light to complete your low-tech aquarium? You can find a list of five more species in this article. Hygrophila difformis is a stem plant that should be placed in the substrate. All you need to do is stick the plant far enough into the sand or gravel to make sure it doesn’t float away: it’ll form a root system to anchor itself in no time. For a thick, bushy look you can opt to replant any Hygrophila difformis cuttings. Propagating the plant is very easy and cuttings will root very easily. Due to its ability to withstand a large range of water values and temperatures, Hygrophila difformis can even be grown by beginners. All you’ll need to provide is light (low light is enough but the plant does look better under high light) and, if you’re looking for quick growth, the occasional dosage of nutrients. Keep in mind that this plant is a very fast grower under the right circumstances, which means it does need a little care to prevent scraggly growth. If the stems grow too tall they will lose their bushy appearance and might start to drop lower leaves, so prune regularly to encourage side branches to develop. Scraggly growth. If your Hygrophila difformis seems to be shedding its bottom leaves and/or losing its bushy shape, it might be lacking light. Although this plant does grow relatively well in low-light conditions, it won’t look as decorative. More frequent pruning can help prevent bare-looking stems. Leaves losing color. All fast-growing plants absorb a lot of nutrients, which comes in quite handy if you’re trying to combat algae. It does mean that in some cases a nutrient shortage can develop, which manifests in pale looking new growth. If you feel like your water wisteria is losing color, consider dosing liquid nutrients or placing a root tab or two in the substrate near the plant. Emersed to submersed. 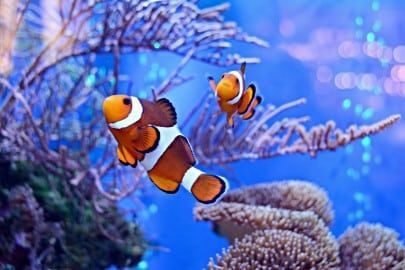 Many popular aquarium plants are not grown underwater by the nurseries that produce them. If this is the case, a plant might go through a phase of very extensive (and rather alarming!) leaf loss in the weeks after purchase. In many cases it’s not dying, but actually replacing its leaves with brand new underwater versions. In many cases your Hygrophila difformis will grow back even better after this. It happens to the best of us.  If you’re worried you don’t have the time to maintain your own aquascape or just want to get things right the first try, FantaSEA Aquariums is here to help. We can take care of the entire process from design to set-up to maintenance for you! You can contact us to discuss your ideas through our contact form here. 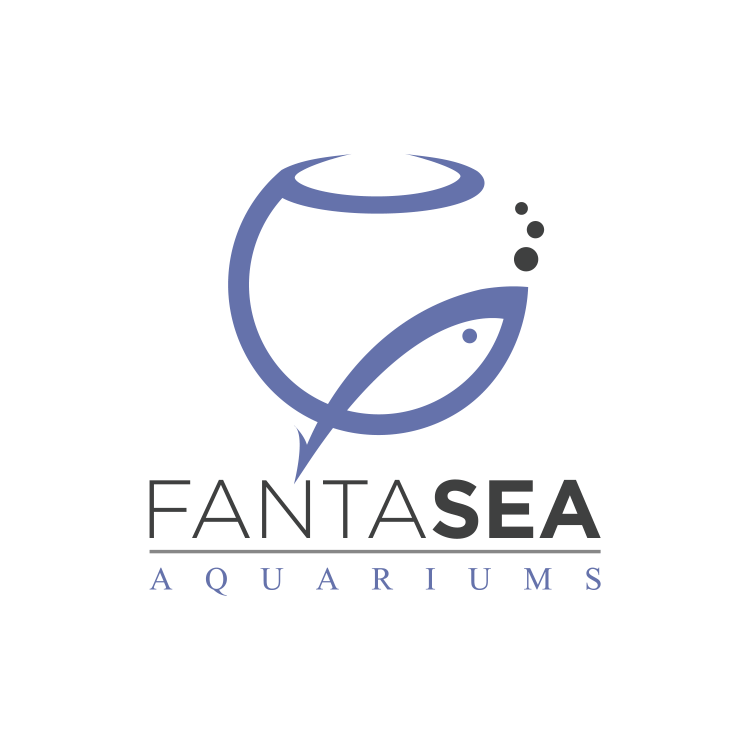 What types of foods can I feed my aquariums?